Worship services at 8 & 10 a.m.
Sunday Adult Forum at 9 a.m. Learn what Advent says about Jesus and our relationship to God. The Rev. Virginia Bennett leads discussion. Children in Pre-K through High School are invited to grow in the grace and knowledge of our Lord. Saint Nicholas Children's Homily at 10:30 a.m.
All children are invited to learn more about the real Saint Nicholas and his role in the church. Watch for a special visitor who might leave special treats for all the children! Messy Church at 4:15 p.m.
Get ready for Christmas with fun holiday crafting, Holy Eucharist and a shared meal (breakfast for dinner!) at this alternative Sunday worship event. Advent Quiet Morning at 9 a.m.
Confluence: A Center for Spirituality hosts a morning of guided meditations with the Rev. Susan Skinner at Mercy Conference Center. RSVP and learn more here. Advent Lessons & Carols at 5 p.m.
Grace's choirs lead this beautiful candlelight service of traditional readings and carols to help us prepare the way for our Lord. Sunday Speaker Series at 9 a.m. The Rev. Loren Lasch comes to Grace Church to discuss her role as Diocesan Youth Missioner and the importance of youth in our parish. Hanging of the Greens at 11:15 a.m.
Christmas Pageant Rehearsal at 11:15 a.m.
Children of all ages are invited to be a part of our Christmas Eve tradition! Christmas Caroling at 5 p.m. Spread cheer around the Grace neighborhood and then enjoy hot chocolate and cookies back at Grace Church. 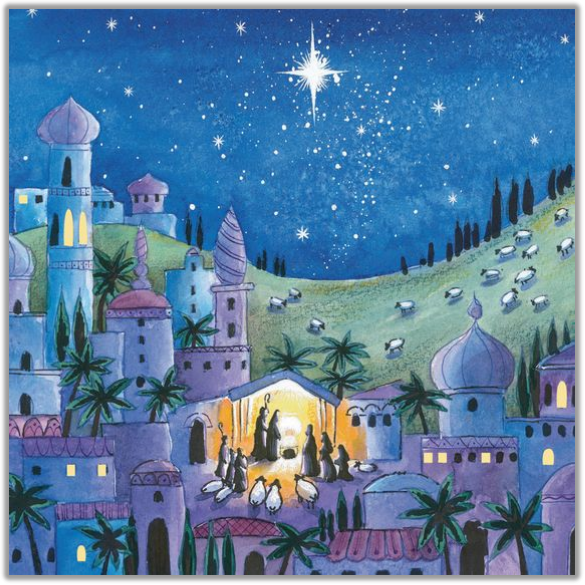 Worship Service at 8 a.m.
Holy Communion with Christmas Pageant and Caroling at 4 p.m.
Service of Carols at 9:30 p.m. Candlelight Service with Choral Eucharist at 10 p.m. Follow the star to our monthly alternative worship event. Come for crafts and activities, followed by a family friendly Eucharist. Grace's Community of Hope hosts our Epiphany dinner.